Personas are possibly the most underrated tool in the designer’s toolkit. Not here at the labs, or in design studios around the world perhaps, but out there, in the big wide world of major brands. To put that in perspective, let’s consider the likes of Philips, Samsung, LG, Sony, Microsoft, Google, Apple et al, and ask this simple question: How could brands that successful, and that talented, get it so badly wrong with product x? The answer is you really, really need to understand your customer personas. A persona is a way of describing a specific type of customer, and there are many research techniques for modelling them, e.g., user interviews, live product user group tests, reviewing customer feedback data, and so on. In my experience, the most useful insights come from focusing on ethnographic (fly-on-the-wall) research and user diary studies of your target customer. This skilled anthropological observation of the customer ‘in the wild’ delivers deep insights into their behaviors in workplaces, public spaces and private home settings. It helps designers understand the core preferences and habits that shape user relationships with products, and usually reveal insights that customer surveys and data analytics miss. Only once you’ve got a robust behavioral insight into your customers can you confidently answer the question, “Who are we designing for?” and “What to they really need from product x or service y?” To illustrate the importance of creating rich, research-backed personas, let’s consider one of the biggest product design disasters that I can think of in recent years… the 3D television. Only once you’ve got a robust behavioral insight into your customers can you confidently answer the question, “Who are we designing for?” and “What to they really need from product x or service y?”. Whatever happened to 3D-ready TV? It feels like a lifetime ago but it was, actually just seven years since 3DTV exploded into retail electronic stores. Philips, Toshiba, LG, Samsung, Panasonic, giants of home electronics, sunk a fortune into it. Not just in terms of hardware and software, but also in terms of partner deals with broadcasters (like Sky Sports) to establish a broadcast 3DTV ecosystem. An ecosystem that collapsed about as quickly as when that meteor killed off the dinosaurs. But why? It was, perhaps, an easy mistake to make. 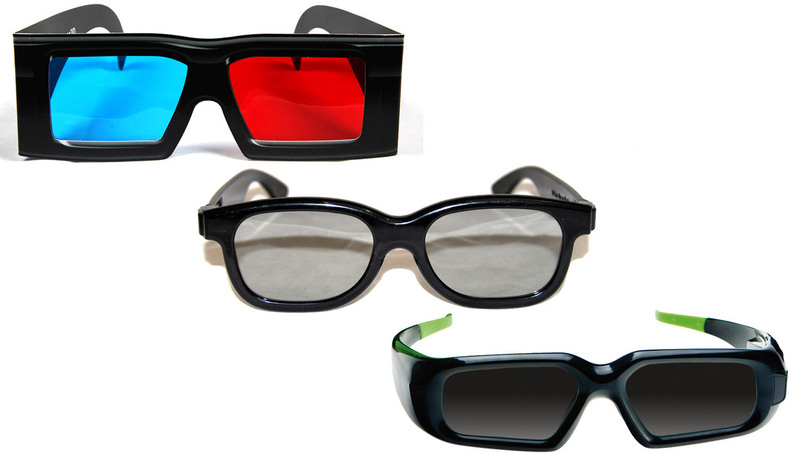 By the end of the 2000s, 3D cinema was fast becoming a staple of cinema releases around the world. Most of the big brands who launched 3DTV models were also producing technologies for the 3D film industry (so they had the engineering expertise to build home versions) and 3D cinema audiences broadly overlapped with HD television customers. So, you can understand why 3D-ready HD TV felt like a good idea: same basic 3D tech (screen and glasses), same target audience (cinema goers usually own TVs), same activity (watching stuff). However, it wasn’t a good idea at all, which would have become apparent if the designers had spent more time understanding their customer personas. It’s worth noting there were a few 3DTV models that used expensive autostereoscopic screens (a bit like you get on the Nintendo 3DS) but they were problematic because when you viewed from a shallow angle, or tilted your head, the image would distort. Sadly for these TV brands, shallow viewing angles and tilted heads basically define TV viewing for most people, with typical low furniture like sofas and chairs arranged around the TV but not directly in front of it. This was a bad product design before we even get to user personas. For most people, 3D glasses offered a better 3D picture experience, and the TV picture hardware was less expensive (which is presumably why all 3D cinema is glasses-based, not autostereoscopic). However, nobody minds wearing 3D glasses to watch blockbuster action movies in the cinema, but the necessity to wear special glasses to relax at home killed the 3DTV. As a general rule, increasing customer effort is bad for business, but there are ways to minimize the friction, for example: In a cinema, it’s more effort to wear 3D glasses, but this is offset by an endless supply of cheap disposable glasses. It’s easy to buy a pair each time you visit, and seeing as most people buy popcorn and a drink anyway, it’s no extra effort to add a pair of 3D glasses to your order. Plus, it’s a 3D movie which is more immersive than a 2D movie (sometimes). Also, a cinema trip is usually a social occasion, so 3D cinema glasses represent no more friction than the requirement to dress smartly to go to a posh restaurant with friends. However you wouldn’t dress up for dinner in front of the TV at home, would you? No, that’s too much effort. The same goes for wearing 3D glasses. At home, your supply of 3D glasses is limited. They were expensive to replace, or to buy spares in case you had guests watching the TV with you (like at family Christmas or during the World Cup). Also, watching the TV isn’t an event like a cinema trip. We browse TV, we use it to pass the time, we watch it while we eat and so on. Observing some typical home TV use-cases would have shown 3DTV designers that 3D glasses may be cheap, low effort accessories in a cinema environment, but they become expensive peripherals that increase customer effort when they’re used in the home. Nobody minds wearing 3D glasses to watch blockbuster action movies in the cinema, but the necessity to wear special glasses to relax at home killed the 3DTV. 3DTV is an optical illusion that varies the images you see between your left and right eyes, creating the illusion of depth, and unexpected side-effects. The images appear to have real depth, but your eyes are actually looking at two overlapping 2D images on a flat 2D surface, at a fixed distance from your face. As your brain sees depth, your eyes try to adjust, but they’re confused by the mismatch between the depth of the optical illusion and the real world distance between the screen and your eyes, which causes eye strain. This isn’t a problem for most people in small doses. It’s certainly not a problem in the cinema, because we average between 7.5 and 15 hours of cinema viewing per year in the UK (3-6 trips average per year, around 2.5hrs average movie length), compared to more like 1,460 hours of TV per year (average 4hrs per day). That’s a lot of eye strain… plus headaches, nausea, tunnel vision, epilepsy, and migraines. However, what is certain is the killer feature of the 3DTV could give you a killer headache, which kind of killed the product. Fortunately, from a health and safety point of view, there was so little 3DTV being broadcast it wasn’t really possible to watch it that frequently in the first place. There’s a raft of complex contextual issues to do with 3DTV, and various related categories of product, which belong to the limits of the real 3D spaces we live in. The most obvious one is the size of your living room, because the smaller the screen, the less noticeable the 3D effect. This didn’t just hurt 3DTV sales, either. 3D motion game controllers like the Xbox Kinect, the Playstation Move and original Nintendo Wii didn’t stand the test of time, because leaping about in front of the TV just isn’t that practical (or desirable) in many home use-cases. Virtual Reality headsets probably aren’t going to replace trad screen gaming anytime soon either, for similar reasons, because wearing an VR headset means you’re just one pet cat away from tripping over and smashing your coffee table. Similar real 3D world issues affect the future of augmented reality. It’s great in a car heads-up-display (HUD) where you need readouts to drive safely, but nobody wanted to wear Google Glass on the street, get mugged and run over by a bus, did they? Nope. AR and VR are both predicted to be bigger in workplace applications than the home, just like 3D screens and glasses in the cinema. (Yes, the cinema is also workplace, not just a leisure destination). 3D imaging has transformed the creative industries, and is undeniably popular with audiences. It’s given us amazing computer graphics, special effects, animation, design and engineering tools. However, without developing an in-depth, research based set of personas at the centre of your product design process, you can easily take an undeniably useful, innovative, creative technology like 3D and turn it into something that fails as spectacularly as 3DTV. I’d like to watch 3D movies at home. I’d also like a counter that serves popcorn, hot dogs and beer, and a team of people who clean up after me too. 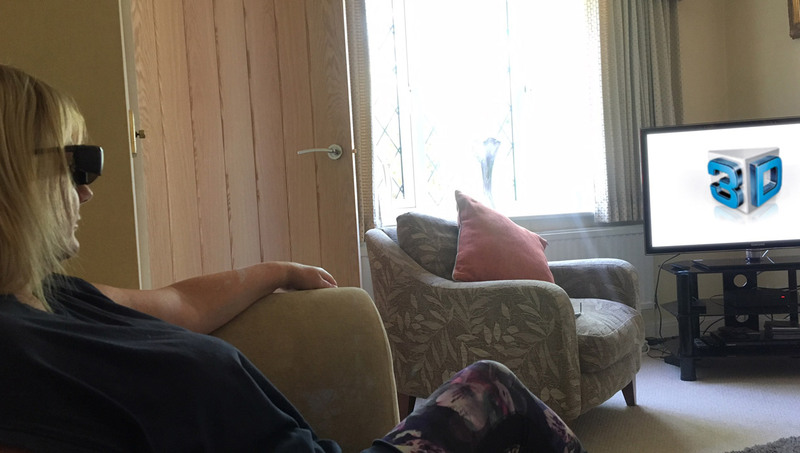 However, if you came and observed me, and the way I actually watch TV, you’d realize the last thing I want to do after a long day wearing glasses in front of a screen at work… is wear more glasses in front of a screen to relax at home. Sure, 3D is cool… but personas are cooler.